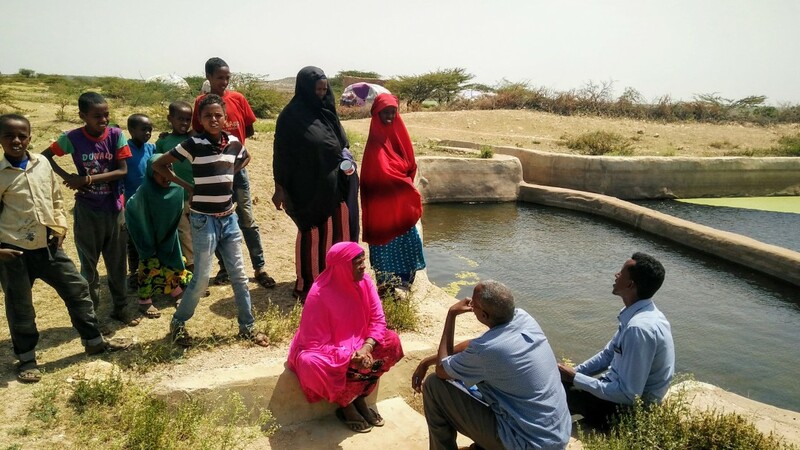 They profit from the newly built water reservoir "Berkad“ – in which rainwater is collected during the rainy season. The theme of this year's UN World Water Day 2019 is “Leaving no one behind – water and sanitation for all”. More than two billion people around the world do not have permanent access to clean drinking water. Even in Europe, millions of houses are not connected to the municipal water network. Particularly affected are groups that are already suffering discrimination, as the new UN World Water Report shows: people who are disadvantaged because of their gender, age, socio-economic status or ethnic, religious or linguistic identity are less likely to have access to clean water and sanitation than others. More than half of the world's population are unable to use safe and private sanitation facilities. The situation for refugees is also dismal: the water supply in refugee camps is often alarming. The infrastructure – water pipes, sewage treatment plants, etc. – is frequently destroyed in armed conflicts. Reconstruction requires time, money and, above all, stability. According to the report, half the world's population with inadequate access to safe drinking water lives in Africa. Only 24 per cent of the population in sub-Saharan Africa have access to safe drinking water. Only 28 per cent used sanitation facilities that they do not have to share with other households. Differences were also revealed between the rich and poor and between rural areas and cities. Slum dwellers frequently pay ten to twenty times as much for water as residents of affluent neighbourhoods and often receive water of poorer quality in return. In most cases, people living in cities are better off than those in rural areas. KfW's current water projects reach a good 416 million people who benefit from better water quality, increased water security, more efficient distribution of resources and improved access to drinking water and sanitation facilities. Yemen is one of the least developed countries in the world. The country’s situation has further deteriorated due to the escalation of the armed conflict since the end of 2014: some two million people have since become internally displaced. According to estimates by UN organisations, more than 22 of the 27 million inhabitants of Yemen depend on humanitarian aid. A devastating cholera epidemic also broke out in 2017. On behalf of the German Federal Government, KfW is financing the development of social and economic infrastructure through measures to boost employment via the “Social Fund for Development” (SFD). 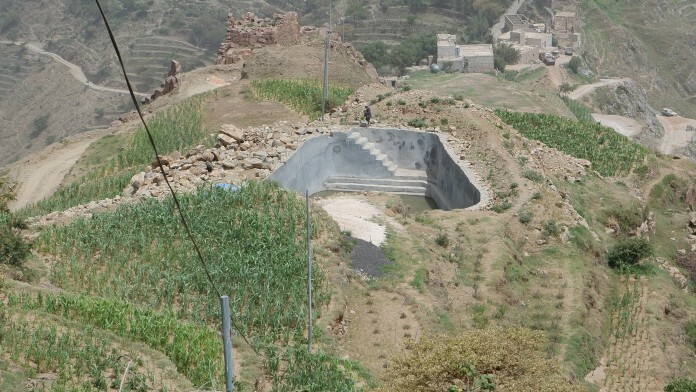 Projects include the construction and rehabilitation of field terraces while rainwater storage tanks are being financed in order to improve the supply of drinking water and boost agricultural yields. For countless people, this does not just make their everyday lives easier, it also saves lives. A new spirit of optimism can be felt in Hargeisa, as new residential and office buildings are being built on every corner. Hargeisa is located in the north of Somalia and has been recognised as the capital of the de facto independent republic of Somaliland since 1991, which corresponds to the territory of the former British colony. Hargeisa has a population of around 800,000, with some estimates putting the number over one million.. In the presence of the Federal Commissioner for Africa, Günter Nooke, a water and sanitation programme was inaugurated at the beginning of March 2019. KfW is supporting this programme with FC funds of around EUR 33 million on behalf of the German Federal Ministry for Economic Cooperation and Development (BMZ). A total of 400,000 people, most of them poor, will benefit directly from the project – Leaving no one behind: that is also the goal here.